You've seen video footage of Game Of Thrones' countryside including the infamous Wall, a 700-foot structure of ice and earth that spans the length of the continent. 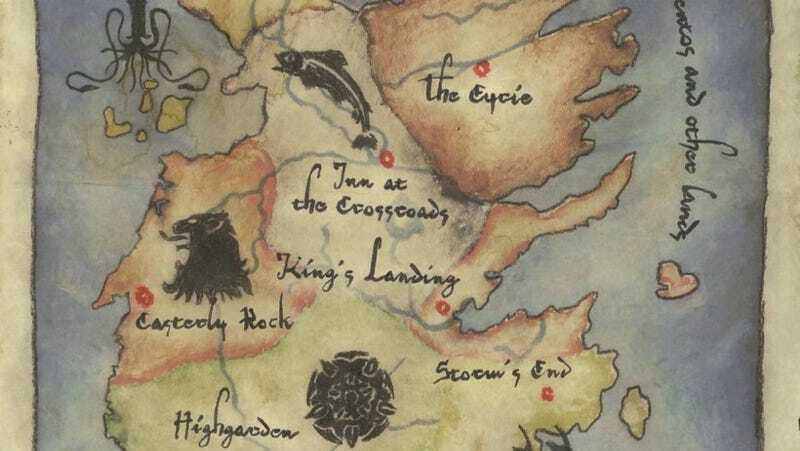 Now see where it's located, on complete this map of Westeros. We were sent an interesting package from HBO, loaded with the scents of Westeros — but what we were really excited about was this map of the land. Click on the picture to expand the entire scroll. Also included in this kit was a collection of scrolls that described various regions and places including Winterfell, and the Free City of Pentos. Read the scrolls and learn more about this world.